A consumer-grade flight computer and GPS module, which is reporting its location to a laptop computer. Today, the United States Federal Communications Commission issued its largest fine ever – $34.9 million against a Chinese company that makes and sells signal jammers. According to the FCC’s enforcement action (pdf), C.T.S. Technology Co. marketed nearly 300 models of jammers for cell phone, GPS, and other signals. Among other wares, C.T.S. allegedly marketed a 100-watt GPS jammer, capable of disrupting global positioning signals more than a half-mile away. It’s illegal to market, sell, or operate jamming devices in the US. This regulatory action is particularly notable as drone and UAV use around the world increases. Drones, which by definition are remote-controlled aircraft or boats, and aerial robots, which generally rely on GPS for guidance, both depend on radio signals for safe operation. While the Federal Aviation Administration struggles with creating comprehensive drone regulations, it appears the FCC is willing to take historic steps to protect unmanned aircraft (and everything else) from potentially dangerous jamming. And as more drones are developed and deployed, regulation, allocation, and use of the electromagnetic spectrum will become increasingly contested. That’s not to say the FCC currently has all the legal tools available to deal with this challenge, however, which means the US could be headed for more confusion and conflict. For example, the FCC has to authorize all devices that are imported or marketed for sale, but people are still free to make a small number of devices for personal use. Between marketed devices and personal devices, however, is a grey area. Writing for the Tow Center for Digital Journalism at Columbia University, Mike Hord, an electrical engineer at SparkFun Electronics, noted that FCC’s regulations were written long before the DIY and electronics revolution. “But we can easily imagine journalists’ work falling somewhere in between: What about a news- room making a small number of custom sensors and distributing them for free? Or a for-profit consulting business that produces such sensors for a reporting project?” he wrote. Hord also recommended that builders and operators look toward FCC’s enforcement history for guidance. 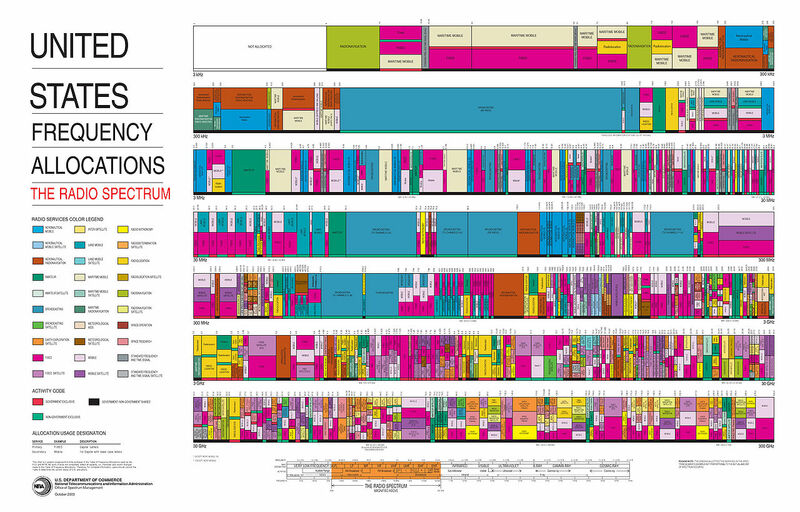 If this most recent enforcement shows how serous the FCC is in securing the nation’s radio spectrum, an action from 2013 shows just how fragile that spectrum can be. The FCC alleged that Security-Cameras-CCTV.com sold an unauthorized, wireless, 5.8 GHz security camera that disrupted the FAA’s 5.6 GHz weather radar in Las Vegas, Nev. The security camera was installed in a Henderson, Nev., storage business, nearly five miles from the radar. What’s particularly interesting about the illegal security camera was that it operated in the ISM radio band, or the Industrial, Scientific and Medical band. As noted in a previous blog entry about drone safety, the ISM band has been called a “ghetto for unlicensed wireless transmission,” as there’s only two broad rules: don’t transmit over a certain power, and the device must accept interference from other devices. That’s why everything from cordless phones, to Bluetooth devices, WiFi routers, and even consumer and pro-sumer drones use this frequency. It’s not hard to imagine a scenario where a camera drone is rendered inoperable, thanks to other consumer electronics operating in the vicinity. The FCC also is taking a pro-active approach and warning commercial entities about the threat of GPS jamming, and has scheduled a workshop on GPS protection for tomorrow. Illustration from Wired magazine, showing how spectrum warfare can be used against military drones. One of the biggest criticisms I have about US media coverage of domestic drones is the near-constant use of the “home from the battlefield” narrative, which frames drones as a military technology that only recently is being used at home. To the contrary, the vast majority of drones in the United States are built by hobbyists and researchers specifically for commercial or recreational applications, and use small sensors and processors that were developed for the consumer electronics industry. I’ve always found this narrative rather puzzling, considering that no credible news agency would write a story about a new jet airliner as being “home from the battlefield,” despite that the Boeing 787 Dreamliner and the Lockheed Martin F35 Lighting II having just as much in common as the General Atomics RQ-9 Reaper and the DJI Phantom Vision. Which is to say, very little, besides the fact they are all aircraft. I contribute this misrepresentation to journalists generally not having an adequate technical background to investigate or explain the topic, or to news outlets that choose sensationalism over reality. This narrative has instilled a widespread, unrealistic fear that anyone can purchase or build an advanced, military-grade aircraft that can loiter for hours, or peer inside a home for extended periods. As I’ve told the Hartford Courant, despite these concerns, drones can not invade your private life in the same way that the NSA, Google, or Facebook does on a regular basis. Instead, the number-one concern should be safety. And among the most important safety concerns, just behind inexperienced or reckless operators, should be intentional and unintentional radio interference. Given the media’s inability to properly characterize drones and other unmanned aircraft, I’m hesitant to make any reference to military operations or tactics. However, drone operators could learn something from the way the US military safeguards its own aircraft from radio interference. As detailed in a February 2014 Wired article, the US military has become particularly aware of the vulnerabilities of its own drones in the context of spectrum warfare. In the battlefield of the future, signal interception, jamming, and spoofing are the three major threats to keeping drones secure. Perhaps more concerning is the prospect that spectrum warfare equipment could be sold on the open market, introducing a new threat to civilian life. If the C.T.S. incident is any indication, commercial drone operators should be just as wary of jamming devices at home, and the public should be just as concerned of this threat.